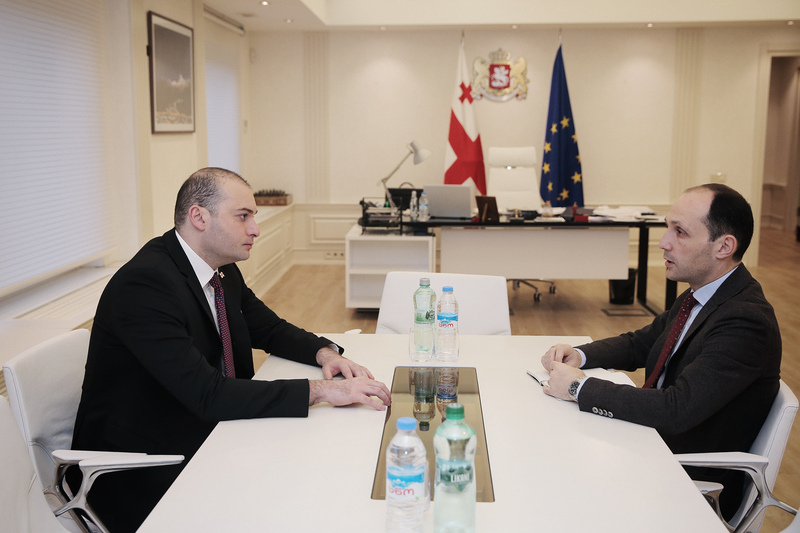 Mamuka Bakhtadze, Prime Minister of Georgia instructed Levan Davitashvili, Minister of Environment and Agriculture of Georgia to carry out a set of measures to efficiently address challenges in the hazelnut sector. In line with the instruction of the Head of Government of Georgia, farmers should be given a detailed information on the methods to fight against the Brown Marmorated Stink Bug (BMSB) and diseases causes by fungus. Ultimate goal is to minimize the harm and let the rural population get a decent crop. Prime Minister of Georgia believes that current year should stand out in terms of measures implemented to fight against the insect. Respective budget resources have already been allocated. "Last year we reached success in the fight against the BMSB, however the current year should stand out even further. We should not leave a single household without information support; no farmer should be left out of information on the methods of fight and programs funded from the State Budget of Georgia, which we are already implementing. In parallel with the fight against the BMSM, people should be well informed about the diseases caused by fungus, which have also caused a considerable harm to the hazelnut sector and our export potential" noted the Prime Minister of Georgia. Head of Government of Georgia got exposed to the Action Plan under the Hazelnut Protection Program, presented by the Minister of Environment and Agriculture of Georgia. According to the latter, set of measures will enable the hazelnut growers to timely and effectively carry out mitigation actions with an aim of hazelnut protection and high quality harvest collection, thereby avoiding damages of the crop and economic losses. Government will purchase and transfer 2 000 units of high effectiveness spraying equipment and protective accessories to the Hazelnut Growers Association. Also, consultation meetings will be held with the engagement of the Hazelnut Growers Association for various groups of farmers. Prime Minister of Georgia got interested in the global trends of hazelnut prices, stressing the export potential of Georgia towards this end. He also noted that ultimate success is the greatest possible export of high quality product, rather than eradication of the insect. Head of Government of Georgia also spoke with the line minister on the existing prospects of facilitated cultivation of nut crops in the country. Development of nut growing as a segment of agriculture sector, vision of the Government and measures aimed at the protection of the nut crops in the country will be among the topics of a conference to be held in Zugdidi with the Minister of Environment and Agriculture of Georgia appearing as a guest speaker in front of almost 400 farmers, large producers, exporters, local authorities, NGOs, international and donor agencies.